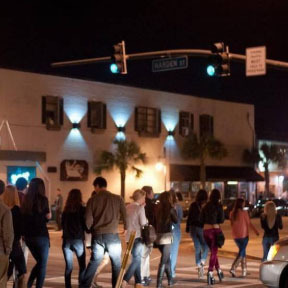 An attempt to clean up a college town could have a rippling effect far beyond “Famously Hot” Columbia and crash waves that will be felt among the bar and club communities across the Palmetto State. On April 3, 2018, an Administrative Law Judge (“ALJ”) found that an LLC operating a bar in the Five Points area of Columbia, South Carolina (the “bar”), applying for a beer and wine permit, as well as a restaurant liquor by the drink license, was not “primarily” engaged in the preparation and serving of food, a mandatory requirement to obtain the permit and license in South Carolina. Section 61-6-20(2) defines a business that is “bona fide engaged primarily and substantially in the preparation and service of meals” to mean a business that “provides facilities for seating not fewer than forty persons simultaneously at tables for the service of meals and that: (a) is equipped with a kitchen that is utilized for the cooking, preparation, and serving of meals upon customer request at normal meal times; (b) has readily available to its guests and patrons either menus with the listings of various meals offered for service or a listing of available meals and foods, posted in a conspicuous place … and (c) prepares for service to customers, upon the demand of the customer, hot meals at least once each day the business establishment chooses to be open.” S.C. Code Ann. § 61-6-20(2). Section 61-6-1610(I) defines “primarily” to mean that “the serving of the meals by a business establishment is a regular source of business to the licensed establishment, that meals are served upon the demand of guests and patrons during the normal mealtimes that occur when the licensed business establishment is open to the public, and that an adequate supply of food is present on the licensed premises to meet the demand.” S.C. Code Ann. § 61-6-1610(I). In reaching the decision, the ALJ applied a rigorous interpretation of “primarily” and “substantially.” The ALJ stated that where the bar’s sale of food contributed to only five to ten percent of the bar’s revenue, the bar was not engaged “primarily” in the preparation and serving of meals. The legislature has broadly defined “primarily” as “a regular source of business.” There is no minimum percentage requirement or strict requirement that food sales constitutes more than half of a business’ revenue. However, the AJL focused on a 1972 Supreme Court opinion that held that a bowling alley’s ten percent revenue from food sales was insufficient to satisfy the “engaged primarily” in the preparation and serving of meals. See Brunswick Cap. Lanes v. S.C. Alcoholic Beverage Control Comm’n., 273 S.C. 782, 260 S.E.2d 452 (1979). However, the Brunswick Court cited to a 1966 case and Webster’s dictionary in defining “primarily’ as “first importance.” Arguably, the legislature’s amendments to the statute post-Brunswick in defining “primarily” allows for a broader application, particularly in circumstances where the establishment considers itself a bar or club. The ALJ’s decision with regard to revenue from sale of foods, the composition of an establishment’s kitchen, and the foods that do (or in this case don’t) constitute a meal, is sure to place bars and clubs in South Carolina on alert. This is an industry where patrons dictate the service of an establishment, namely its food and drink. The patrons of the bar, and other late-night establishments in the Five Points area, do not (on most occasions) select where they spend their late-nights based on food availability or selections. Indeed, most individuals do not purchase food at late-night establishments. It is not a guarantee that expanding a late-night establishment’s kitchen (not to mention an undoubtedly expensive endeavor) and food selections will yield revenues from the sale of food that would satisfy the “primarily” requirement. So, what is next for South Carolina bars and clubs? It is unclear at this point. A similar matter involving another establishment in the area is set to be heard by the Administrative Law Court. A summary judgment motion filed by intervenors (who intervened in the contested hearing on the bar’s application for a permit and license) was denied by the court. 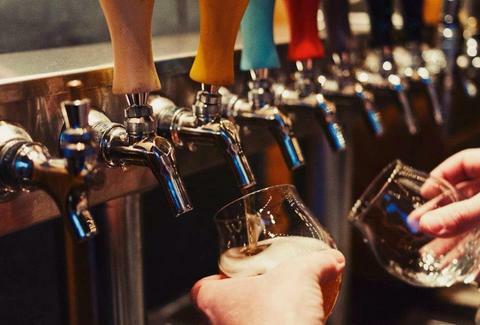 Several other bars in the area are due for permit and license renewals, which are sure to likewise be contested by area neighbors. The ALJ’s order will likely be appealed, staying enforcement by the Department of Revenue and South Carolina Law Enforcement Division. 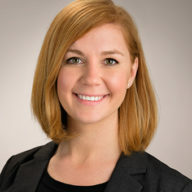 Kelsey Brudvig is an associate practicing in the areas of retail & hospitality law and professional liability. She defends national and regional leaders in the retail, hospitality, and entertainment sectors doing business in South Carolina in claims involving premises liability, loss prevention, food adulteration, third party torts, and alcohol liability. Kelsey can be reached directly at kbrudvig@collinsandlacy.com.